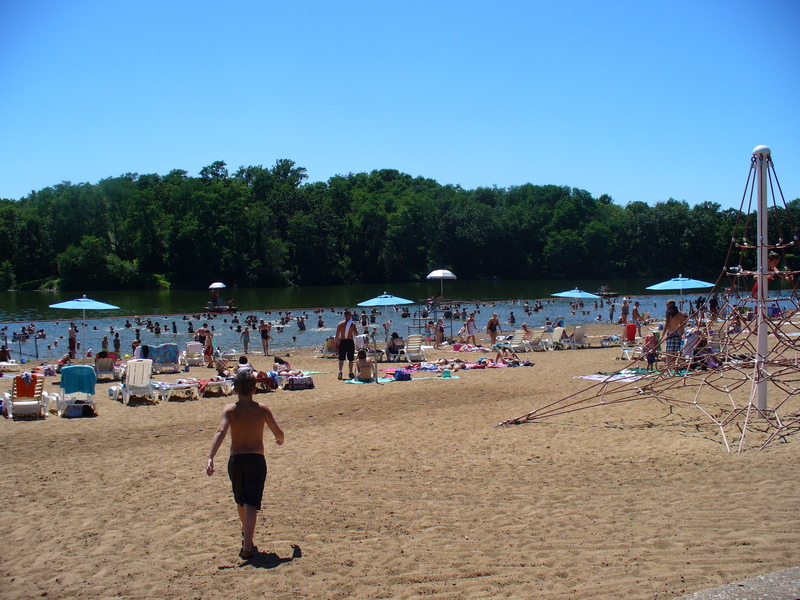 ANNOUNCING: The West Lake Park Beach is now closed for the season. We look forward to seeing you again when we reopen Memorial Day weekend in 2019! Swim diapers are now required at the beach for those not toilet trained. The diapers are available for purchase at both locations. Open Memorial Day to Labor Day. Weekends and holidays: 10:00 a.m. - 8:00 p.m. Weekdays: 11:00 a.m. - 8:00 p.m.
Add more to your company picnic, family reunion or large party with swimming and boat rentals. For more information on this easy and very affordable way to make your gathering one your guests won't forget, contact the Beach Manager at (563) 328-3281 ext 4.